Smile Bangladesh #21 has come to an end and what a mission it has been... 43 lives changed for the better! The last day of surgeries consisted of nine cleft lip repairs and one palate. Then, the team reconvened to start the long journey back home to begin planning for the next mission in November. This couldn’t be done without the support of our donors, hosts and volunteers. But most of all, we are eternally grateful to our patients and their families for allowing us the privilege to perform surgery on their cleft deformities. Thank you!! Click here to support upcoming missions. The team is nearing the end of the mission but not before completing another 12 hour day comprised of 8 cleft palate repairs. Surgeons rounded this morning to find that the children are all doing very well and the impact these procedures have on the families is priceless. Tomorrow will be another amazing day of 11 cleft lips planned before the team begins the long journey back home. 14 was definitely the number of the day as that was the amount of hours spent in surgeries and how many cases there were in total. It was the number of lives improved and smiles perfected. The team is really going strong and tomorrow will be no exception - palates will be worked on! The first full day of procedures was a success with 10 cleft lips repaired. The team is looking forward to an even more productive day tomorrow since there are 14 cases on the schedule. Go Smile Bangladesh mission #21! 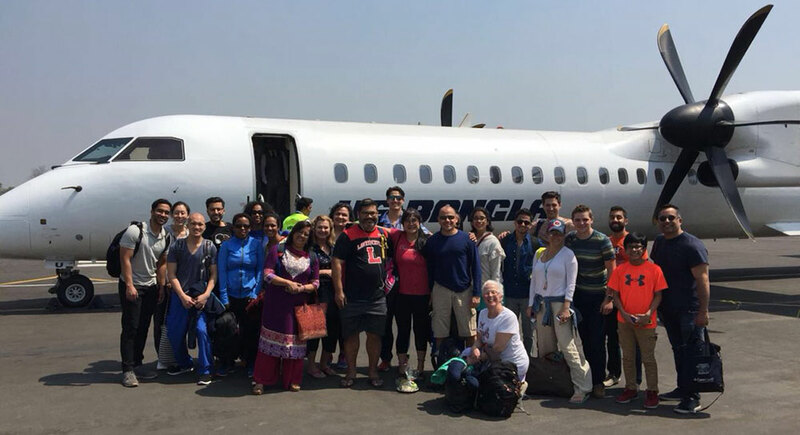 The team has made it to Bangladesh and is on their way to Christian Service Society Hospital in Khulna today. Everyone met for a group breakfast this morning and to go over logistics during the mission as well. Then, the team boarded a flight to Khulna with a bus ride after to CSS. ​We are hoping for a very productive trip that will put us at the 1,400 case mark! ​Click here to see more photos of this week! Smile Bangladesh’s 21st mission is underway this week with our 6th visit to the Christian Service Society in Khulna. The Cleft Camp will run from 3/11-3/16. ​ On 3/18, we will co-host the 1st Annual Symposium on orthognathic surgery with East West University and Update Dental College. Click here to support upcoming missions like these!